River City Art Association members Edith Acton, Jimmie Tabor and Sheila Ter Meer are participating in the Vigo County Public Library’s art exhibition in March in celebration of the Big Read: When the Emperor Was Divine by Julie Otsuka. 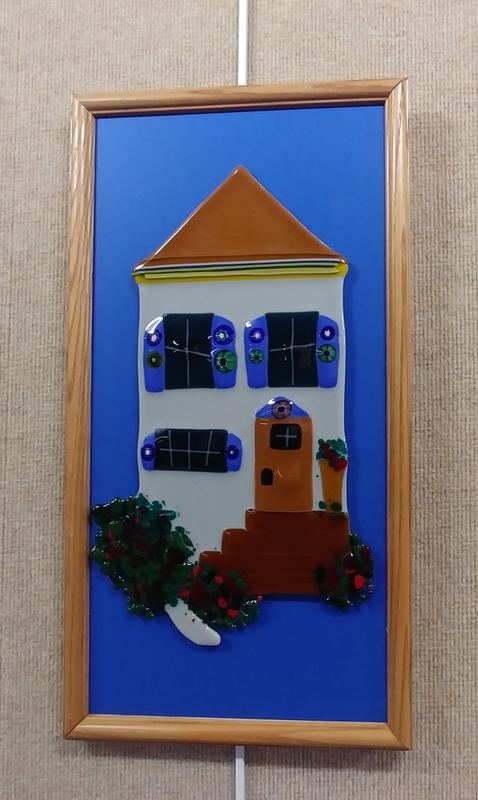 A coffee and conversation reception to meet all 8 entrants in the exhibition is scheduled 6 to 7 p.m. Monday, March 26 in the library conference room at Seventh and Poplar streets in Terre Haute. Prizes will be awarded to the Best of Show, chosen by a special judge, and People’s Choice, as voted by library customers. The VCPL received a National Endowment for the Arts grant to host a Big Read program during the months of February, March and April 2018, states the library’s call for artists. A featured program in the Big Read initiative is the 4th Annual Big Read Artist Exhibition. The artwork in this exhibition will be a reflection of Julie Otsuka’s When the Emperor Was Divine which tells the story of a Japanese American family’s experience in an internment camp during World War II. 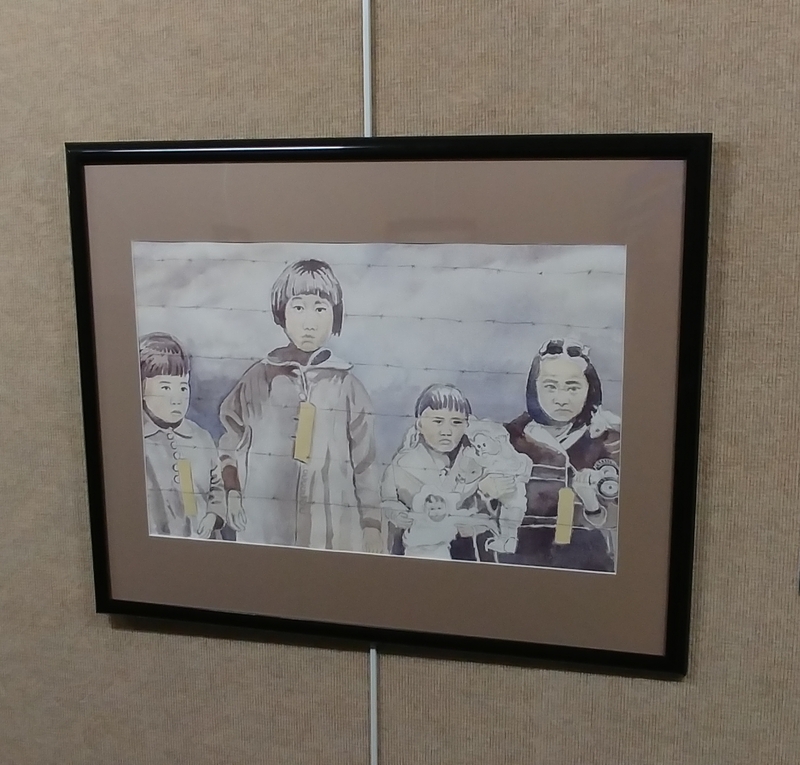 The library challenged artists of all mediums to illustrate scenes from Otsuka’s powerful novel with prevalent themes of national identity, heritage, the American dream, racial prejudice, imprisonment and alienation. Sheila K. Ter Meer of Brazil, Indiana, created a photography-based digital art piece on fine art canvas mounted on bamboo panel titled “Somewhere … Blossoming Madly,” inspired by a line in the book: “we never stopped believing that somewhere out there, in some stranger’s backyard, our mother’s rose bush was blossoming madly…” The rosebush represents the ideal of freedom. In the end, the children imagine the rosebush growing freely and without restraint. In the real world, the rosebush and freedom it represents are stolen from them. It becomes a metaphor for the U.S. stealing the freedom of Japanese Americans. 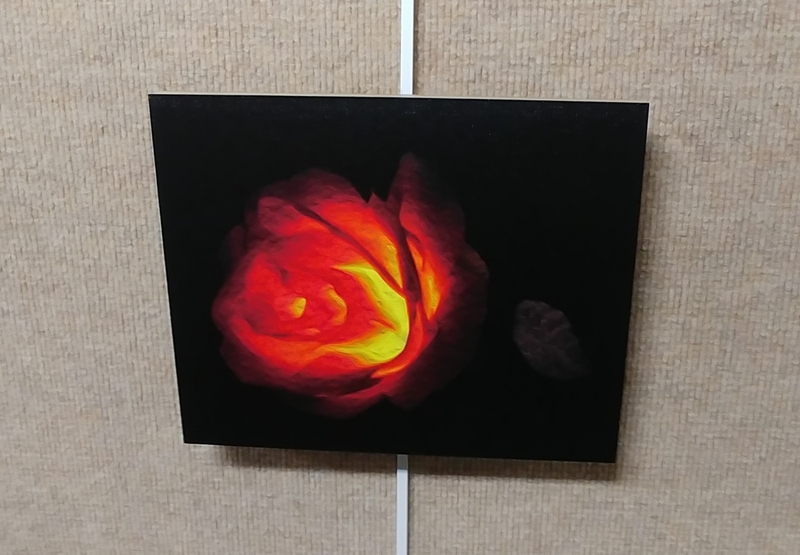 This entry was posted in Member News and tagged art exhibition, Big Read, Digital Art, fused glass, internment camp, Japanese Americans, Julie Otsuka, photography, River City Art Association, Rose, rosebush, Terre Haute, Vigo County Public Library, watercolor, When the Emperor Was Divine, World War II. Bookmark the permalink.